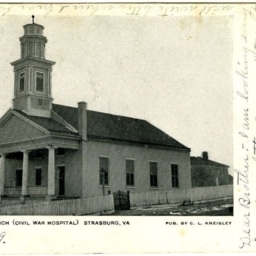 Postcard with a picture of the Samuel L. Laughlin Presbyterian Memorial Chapel in Woodstock Virginia. 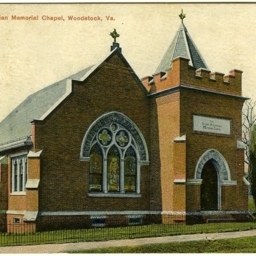 Color postcard with a picture of the Samuel L. Laughlin Presbyterian Memorial Chapel in Woodstock Virginia. 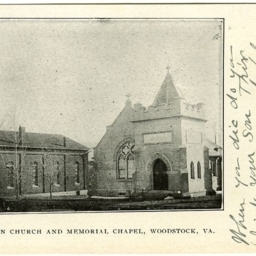 Presbyterian Church and Memorial Chapel, Woodstock, VA.
Postcard with a picture of the Presbyterian Church and Samuel L. Laughlin Presbyterian Memorial Chapel in Woodstock Virginia. 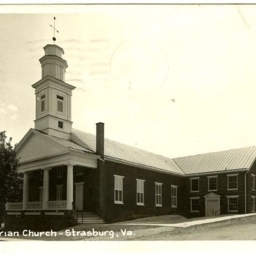 Postcard with a picture of the Presbyterian Church in Strasburg Virginia. 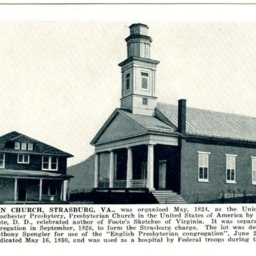 Postcard with a picture of the Presbyterian Church in Strasburg Virginia. 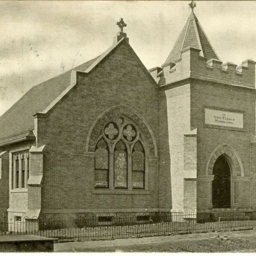 The card includes a a description of the church.